If we say ‘A picture describes a thousand words’, then this menu board will be a case in point. 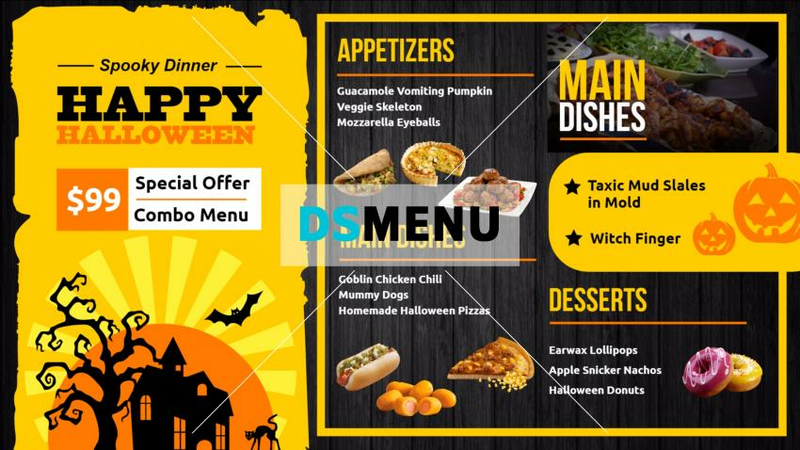 The dark grey/ coffee color and yellow is brilliantly used to depict the menu, graphics and a special combo offer at a particular price point. On a digital menu board, this template will surely attract the target customers who will have a good time. A great one, this !